The Brazilian-born German-based artist delivers 10 tracks where he expands different facets of his production skills. The LP contains several powerful Techno pieces to get lost in his hypnotic rhythms as in A2 ‘Illusion’. 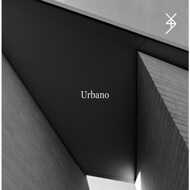 Urbano explores his rave-like sounds with industrial grooves in B1 and D2. C2 ‘Travel Inside Your Head’ brings your mind into an acidic and loopy ecstasy combined with atmospheric cuts. Besides, B2 and D1 are your proper bangs to pump up your stamina, while C3 ‘Brother’ will definitely take you through a landscape of melodic beats.